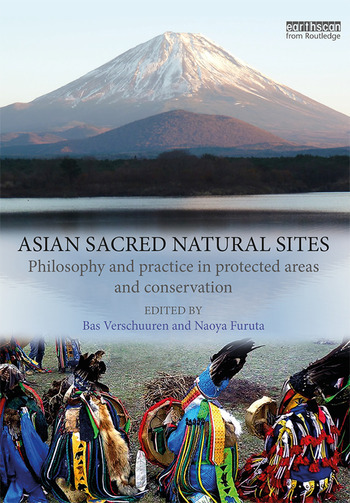 The book shows how sacred natural sites contribute to defining new, more sustainable and more equitable forms of protected areas and conservation that reflect the worldviews and beliefs of their respective cultures and religions. The book contributes to a paradigm-shift in conservation and protected areas as it advocates for greater recognition of culture and spirituality through the adoption of biocultural conservation approaches. 4. Can World Heritage Status Help Protect Sacred Sites in Asia? Bas Verschuuren is a freelance conservation adviser and an associate researcher at the Department of Sociology of Development and Change at Wageningen University, the Netherlands. He is co-chair to the IUCN-WCPA Specialist Group on Cultural and Spiritual Values of Protected Areas and co-founder of the Sacred Natural Sites Initiative. Naoya Furuta is Coordinator at IUCN Japan Liaison Office and a professor at the Institute of Regional Development at Taisho University in Tokyo, Japan. He is a long-time member of Biodiversity Network Japan and also a member of the World Commission on Protected Areas.